IRCO’s mission is to promote the integration of refugees, immigrants and the community at large into a self-sufficient, healthy and inclusive multi-ethnic society. Founded in 1976 by refugees for refugees, IRCO has over 40 years of history and experience working with Portland’s refugee and immigrant communities. Following the 1970s political upheavals in Southeast Asia, Oregon and Washington were two of the first states to offer new opportunities and homes to refugees. A group of Vietnamese, Laotian and Cambodian refugees in Portland formed the Indochinese Cultural and Service Center (ICSC) to help newly arrived families adjust to American society and find jobs. By the mid-’80s, ICSC joined forces with another community-based organization, Southeast Asian Refugee Federation (SEARF). The newly formed International Refugee Center of Oregon (IRCO) became the sole service provider of employment services and job training for all newly arrived refugees, a role IRCO has retained ever since. We became the Immigrant and Refugee Community Organization in 2001. 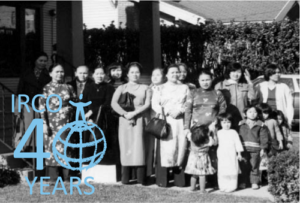 In 1994, IRCO founded the Asian Family Center, the first of our culturally and linguistically specific one stop service locations, followed by the establishment of Africa House in 2006.